Yes I am waiting to be the winner of the $5,000.00 forever Prize. Yes I wish to be the winner of the Publishing Clearing House $5,000 a week forever prize I am hoping I am praying. Yes how many more times do I got to say 5000 a week forever. WILL SEE, BEEN TOLD THAT YEAR AFTER YEAR! Yes I want to win the Upgrade $8,000.00 A Week For Life on December 21st. Thanks again PCH and Prize Partrol. God Bless. Happy Holidays. 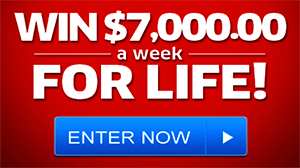 Yes I am repeating myself I want to win the upgrade $8,000.00 A Week For Life on December 21st. WOW! Thanks again PCH and Prize Partrol. God Bless. Happy Holidays! Yes I want to win! Five Days in a Row – Way To Go! My searching 5 Days In A Row has qualified me to go for $5,000.00 Prize! I’m searching from ALL 5 buttons above to maximize my winning opportunity from this notice! TONIGHT – PCH Officials have GUARANTEED to award 2O Cash Prizes. Yes, 2O! Roy, will you win one of them? Hurry, because these prizes won’t last! Every 15 minutes we’ll be awarding a new Cash Prize. And once the clock hits midnight, all the cash will be gone. 2O Cash Prizes MUST be awarded before 11:59 PM, ET. Roy, don’t miss your chance to win some instant cash – Search Now! Five Days in a Row — Way To Go! Roy, search now from ALL 5 buttons above to maximize your winning opportunity from this notice! Only a highly valued searcher like you who searches five days in a row qualifies for EXCLUSIVE $5,OOO.OO Prize eligibility and you’ve definitely earned it! And thanks for being such a valued searcher! This is a post-only message, please do not reply. You’ve received this commercial email because you are registered with PCHSearch&Win. Searching 5 Days In a Row has qualified me to go for a $5,000.00 Prize! I’m searching now from all 5 buttons above to maximize my winning opportunity from this notice! HIGHEST PRIZE ALERT IN AFFECT! CASH PRIZES AWARDED EVERY 15 MINUTES! PRIZES ARE GOING FAST SO I’M SEARCHING NOW AND I’LL KEEP SEARCHING! I won’t ignore This Urgent Advisory! The Red Flag Warning means all of today’s prizes must be awarded by 11:59 PM, ET tonight. I won’t risk missing out on this “win now” prize opportunity. My response is critical because that’s how winning gets done. Enter me to win cash prizes awarded every 15 minutes. Yes I would love to win the $5,000 a week forever it would be a dream come true for me and my family! I want to be the winner of $5,000.00 a week forever from PCH on October 26. I want to win the $5,000.00 A week forever. Yes I would love to win the $5,000.00 a week forever on October 26. PCH Search & Win… Authorized to be awarded… I want to win $5,000.00 a week forever from (PCH Gwy. No.11000) on October 26, 2018. I want acept and claiming my entry. Thank you. PCH Search & Win…Final step Required… I wish to win $2,500.00 a week for ever plus win 5,000.00 cash as part of (PCH Gwy. No. 12244) Prize Access week on October 26th. Please, I want complete this compliance final step. Thank you. Thank you lord. I have been thankful since you and I started this lord. After everything I have been through I know you are real. I thank you for being there at my worst and now at my best. Roy, This Could Make You a Millionaire Tonight! COMPLETE YOUR PCHLOTTO CARDS NOW! Roy, the PCHlotto PowerPrize is now $2,645,631.O7, and our weekly drawing will take place in just hours. That means you could become a millionaire if you act before tonight’s 11:59 PM, ET entry deadline! If not, you pass up not only this shot to become a millionaire, but also this opportunity to win thousands of dollars in cash prizes in our other nightly drawings by claiming today’s PCHlotto Numbers! You see what’s at risk by discarding this notice, Roy? Don’t take that chance with so many prizes you could win! Claim your PCHlotto Numbers now! Roy, you got a Prize Day Information Card with a Special ID Code — activate it now and it could mean a HUGE Win! Roy Appel, I’m sure you want to be selected the winner of our guaranteed prize of $5,OOO.OO A Week “Forever”, scheduled for award on February 23rd. Well, with just 4 days to go until Prize Day, you’re in for quite a surprise! That’s right, recipients of this Notice, like you, have been authorized to receive the above Prize Day Information Card with a Special ID Code — but please understand it becomes activated ONLY if you respond promptly. With an accelerated entry deadline of 2/2O in effect, the urgency of a fast response is evident. Prize Day is February 23rd, with winner selection two days earlier. It won’t be long before we award the “Forever” Prize — $5,OOO.OO A Week For Life PLUS, after that, $5,OOO.OO A Week For Life of someone the winner chooses. The final countdown has begun. Giveaway No. 88OO is coming to an end and our $5,OOO.OO A Week “Forever” Prize Day is just a few short days away. PLEASE ACT NOW. Activate Now — Find out what this Special ID Code could get you! Additional Funds Have Been Allocated For This Week’s PowerPrize! Take Action Today to Secure Your Claim to PowerPrize Numbers! Roy, in accordance with Official Lotto Regulations, the PowerPrize Jackpot has increased to $4,791,666.67! You’ve been issued this Official Prize Announcement Notice to urge you to claim today’s numbers right away. This will ensure that you, ROY APPEL, are eligible to become a multi-millionaire with them in this week’s PowerPrize Drawing. Hurry, Roy, take advantage of today’s PowerPrize opportunity before tonight’s 11:59 PM (ET) entry deadline! PCH Final Step I claim ownership and activate final step to win $5,000.00 a week forever prize 2/23/18 GWY #8800. I want to win this prize. I completed the APP. 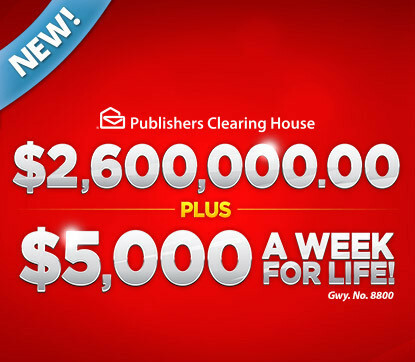 I am hereby requesting for my chance to get on the winners selection list to win PCH GWY #8800, $5,000.00 a week “FOREVER”. Please get this to the correct people at PCH so It gets on the winners selection list. Hopefully this gets there this time. Thank you. This is really happening! $5,OOO.OO A Week “Forever” is guaranteed to be awarded in just weeks. A delivery itinerary, plus a map of your zip code 75063 is available inside. It has been confirmed: we’re getting real close to selecting the February “Forever” Prize winner. Yes, our “Forever” Prize — $5,OOO.OO A Week For Life, then after that, $5,OOO.OO A Week for the life of a beneficiary of the winner’s choosing — is guaranteed to be awarded in just weeks and after all your hard work, all your Sweepstakes loyalty since 05/03/1997, the delivery you’ve been waiting for could finally be here. But — this is important — if you want to win from this Bulletin, in the last of a series of drawings for Gwy. No. 88OO and have us use this itinerary, you absolutely must respond by the 1/25 entry deadline. Remember Roy, it’s all really happening — and soon — so please don’t wait a moment longer. Sincerely, Dave Sayer – Executive Director – Prize Patrol Elite Team	Act Now! PCH Frontpage please accept my entry to win and I claim $5.000.00 A Week “Forever” At Stake. On February 23rd. I need activate a Prize Number from this notice from PCH Gwy No 8800, If my Prize Number is selected as the winner I’d win $5.000.00 a week for my life, then after that those same payments would continue on for the life of a beneficiary Of my choice. Thanks, yes please come to Miami I have the hope and honor to meet the Prize Patrol Team when they come to my housrto give me that Big check that will change my life radicaly. PCH VIP Elite please activate two entries to win $5.000.00 A Week “Forever” if. Iwin I could receive $5.000.00 a week for my life after that those some weekly payments continue for the life of a beneficiary of my choice from PCH Gwy 8800 plus $25.000.00 Bonus from PCH Gwy 8802 on February 23rd. Thanks for the opportunity to win!. I want to win $5,000.00 a week “forever” on February 23rd. PCH I want to claim ownership and activate entries prize number GWY #8800, to win $5,000.00 a week forever 2/23/18. Then after that, $5,000.00 A week for lifetime of a beneficiary of the winner’s choosing. I want to win this prize. I completed the APP. to have my entries activated. They say there are millions of reasons to search. Well I only need one reason to search for millions. That is to keep searching. I want to win 2.6/million 5,000 a week forever. I want to claim sole ownership of super prize number. PCH ACCEPT OR AMEND I am claiming ownership and activate to accept $5,000.00 a week forever prize GWY #8800, 2/23/18. I want to win this prize. I completed the accept or amend APP.. My decision is to accept.